A good friend of mine from high school recently visited and gave me an excuse to do touristy things. 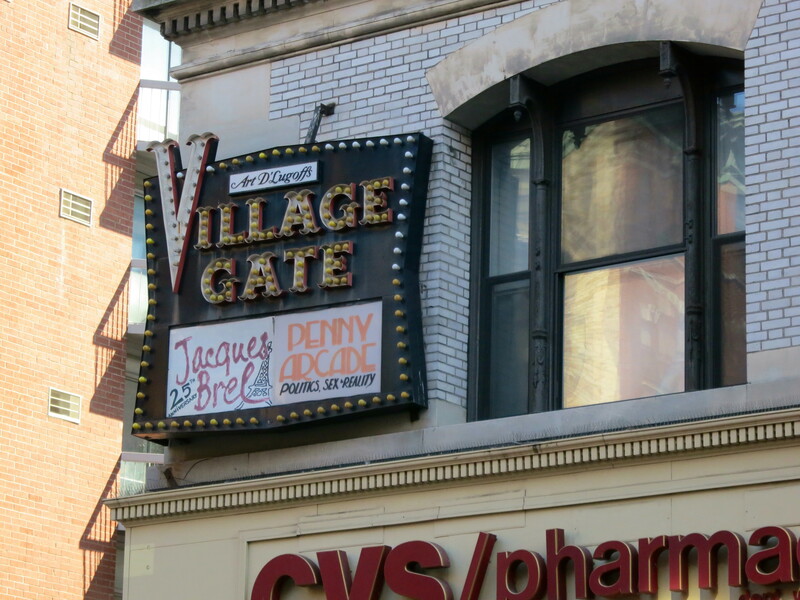 🙂 One of which was The Heart of the Village tour from Foods of NY Tours. 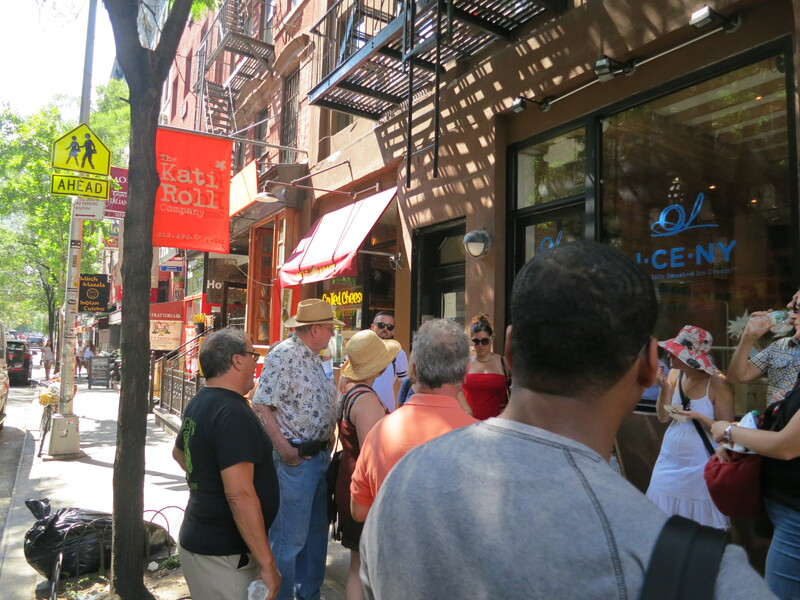 It’s a 3 hour walking tour combining a cultural perspective on the area with tastings from some great restaurants along the way. A few notes before I recount/review the tour in detail. We had 6 tastings. The website lists 7 for this tour. It does say subject to change, and the one we “missed” was tea, so nothing substantial, but the small discrepancy is worth mentioning. For anyone looking for the short version – this was awesome. 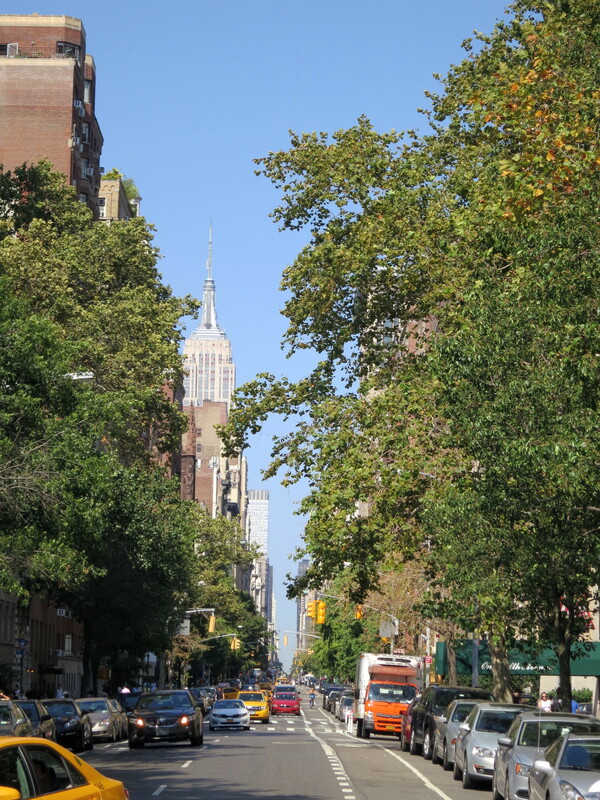 Have no hesitations at all about doing a Foods of NY tour. We started out gathering at Monte’s Trattoria. It provided a nice place for people to sit as they arrived, but we actually didn’t eat there yet. Since Monte’s would be a sit down stop and one of the more substantial of our tastings, it was scheduled for third. Nice bit of planning. The group was 16 people and seemed like the right amount. Any more would have been a bit much but as was the group could gather around the guide to hear everything and it was a nice shared experience. The first tasting was a couple spots down from Monte’s at Meltkraft, an artisan grilled cheese shops. We tried their Valley Thunder, which contained aged cheddar and brisket. It was phenomenal, likely my favorite of the day. You could taste the quality of the cheese, as the aged cheddar was so strong it had the impact of a bleu cheese or the like. We walked around a bit, with Barri pointing out some cool place where movies were filmed, etc as well as restaurants we wouldn’t be stopping at but were still worth checking out, then made our way to our second quick stop, Masala Times. The samples here were the Unda Bhurji roll and mango lassi. The rolls were made fresh while we waited (not long) and had egg and veggies with Indian spice. The spice was just enough to taste, giving it a mild flavor. I liked this and understand why we had something light and mild, but I’m much more interested in going back and having one of the meat dishes. The mango lassi was excellent, with a flavor that was subtle but still distinct. Mango flavor is usually to strong for me in drinks like this. Here it was perfect. We proceeded along, seeing more interesting landmarks with great context shared by our guide. We ended up mading our way back to Monte’s for a sit down tasting, a nice break after walking about. 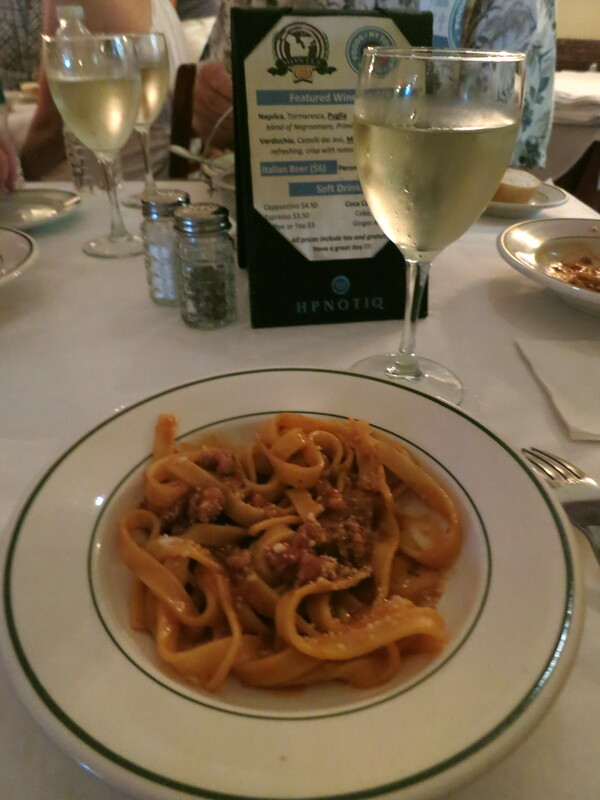 We were there for about 20 minutes, and had some fettuccine bolognese. Wine and other beverages were available for purchase, at whole dollar prices with tax and gratuity already included. This allowed everything to go smoothly and quickly without us feeling rushed. Both wine and pasta were good. The bolognese was light and flavorful, such that despite generally not eating tomatoes or tomato sauce I tried and enjoyed it. 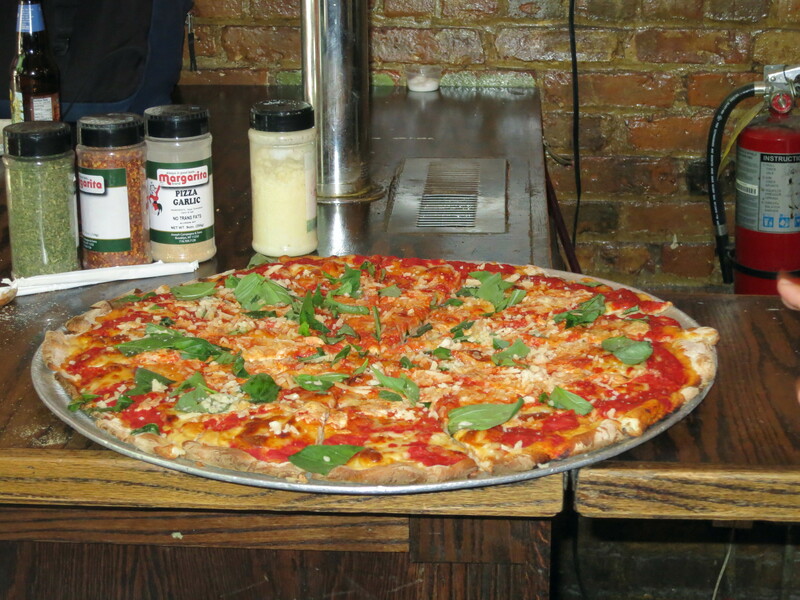 Next up was Artichoke Pizza, a well known pizzeria named after its signature slice. Said slice was determined to be too heavy for a sampling tour, so we were served a margherita pizza. Too much tomato here for me (and I had had my one exception per few years minutes earlier), so I skipped. Looked fantastic though and everyone else loved it. 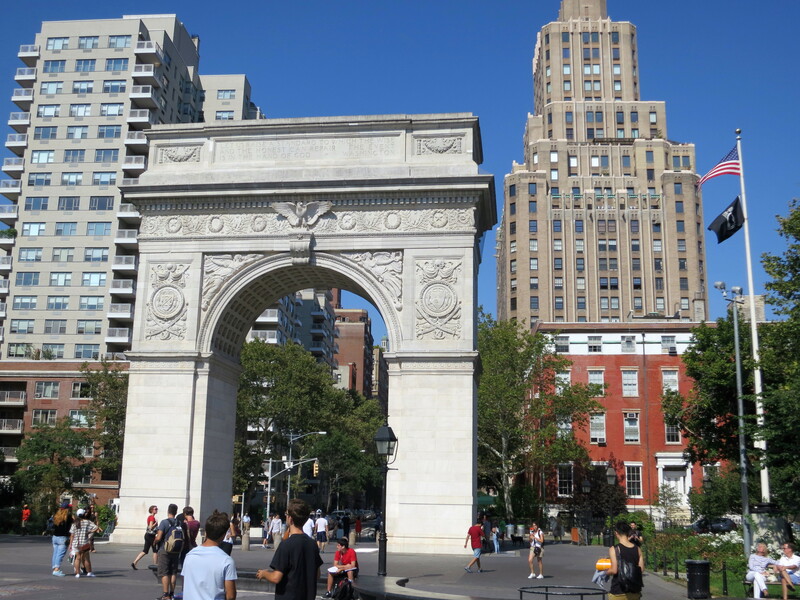 After getting loaded up with food at the last couple of tastings we spent a decent amount of time walking around Washington Square Park. Barri had numerous intriguing stories and facts to share about the park (and on the way there). It was fun to here both about the significance of certain structures and buildings as well as the various places famous musicians, etc frequented. Just as we were getting a bit tired out from walking around in the heat, it was time for our second sit down tasting. 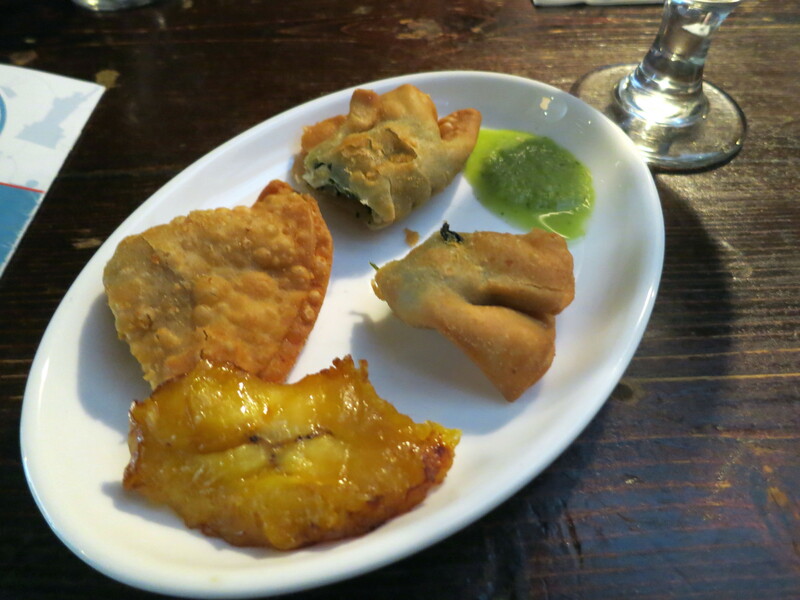 Cuba Ristorante served us two different types of empanadas, chicken and spinach, as well as sweet plantains. Everything was excellent and was my second favorite stop of the tour. Mojitos were available for purchase, and like at Monte’s it was an all inclusive price. We walked around a bit more with Barri frequently stopping us to point out/share interesting tidbits about the area, then concluded the tour at Francois Payard Bakery, where we had a classic style salted caramel macaron. Macarons have become a favorite dessert of mine, and I can say that it was extremely good here. So there you have it. The tour was excellent, perfectly balancing the information, sightseeing, and tastings. Our guide really knew her stuff and made the tour relaxed and fun. The restaurant choices were great both for quality and diversity. I’m very pleased with how this went and would totally be up for trying one of their other tours sometime. Tempura Matsui is a new NYC restaurant that focuses on the tradition of tempura at the level of fine dining. “We have worked tirelessly to perfect the batter, which is as thin as possible, to just coat the ingredient, and not weigh people down. Naming it “The Matsui Way” after out grand chef Mr Matsui. Both the concept and the food sounded fantastic, so as a slightly belated birthday gift to myself I decided to give them a try. 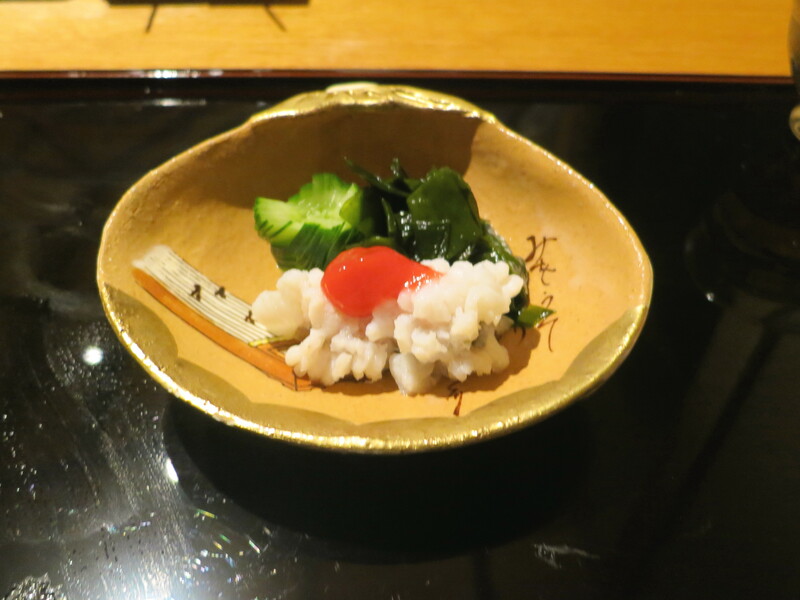 Opening appetizer of junsai with sea urchin. 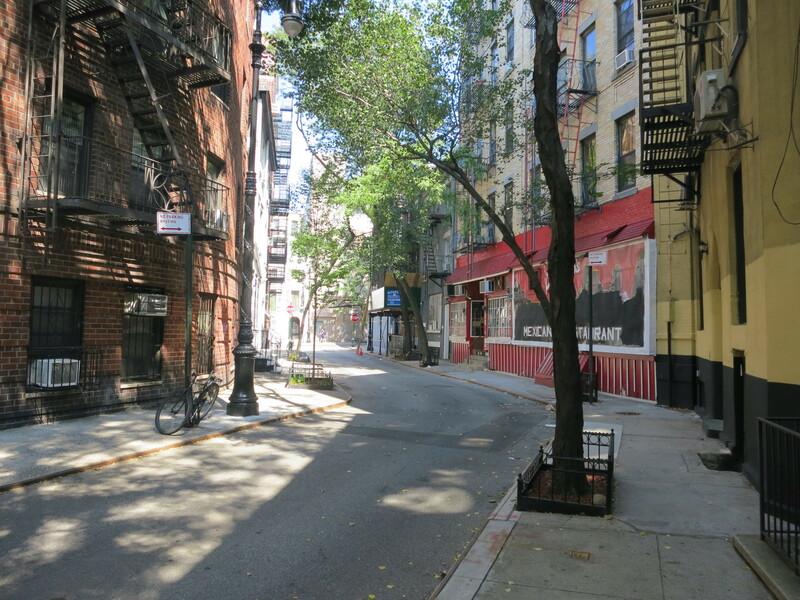 Although conveniently located on 39th st between 2nd and 3rd, it’s easy to walk by the single door and small sign hidden at the corner of a huge apartment building (three times). Once I got my bearings and actually found my destination I entered to a small dining room mostly taken up by the bar surrounding the tempura chef, with a few booths on the opposite wall. The atmosphere felt nicely relaxed for fine dining and the staff was all extremely attentive and friendly. Komatsuna and mushroom ohitashi, homemade sesame tofu topped with wasabi, and dashi simmered octopus sakura-ni. Excellent and wonderfully complimentary appetizers. 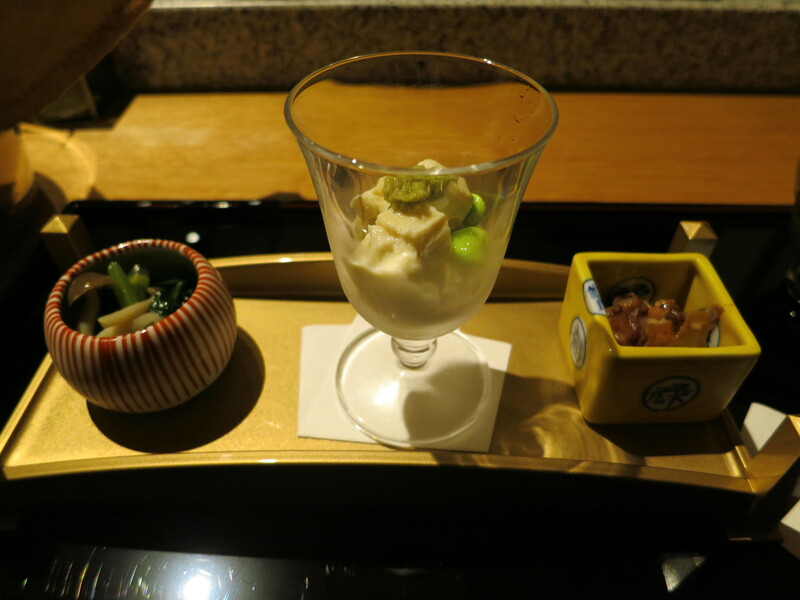 There is set dinner menu (which changes monthly), and all eight courses were delicious. The meal built well and I was quite full at the end without being overstuffed at any point.Each item was identified and explained, including suggestions (like which pieces of sushi didn’t need soy sauce and which of the two provided salts went best with particular pieces of tempura). 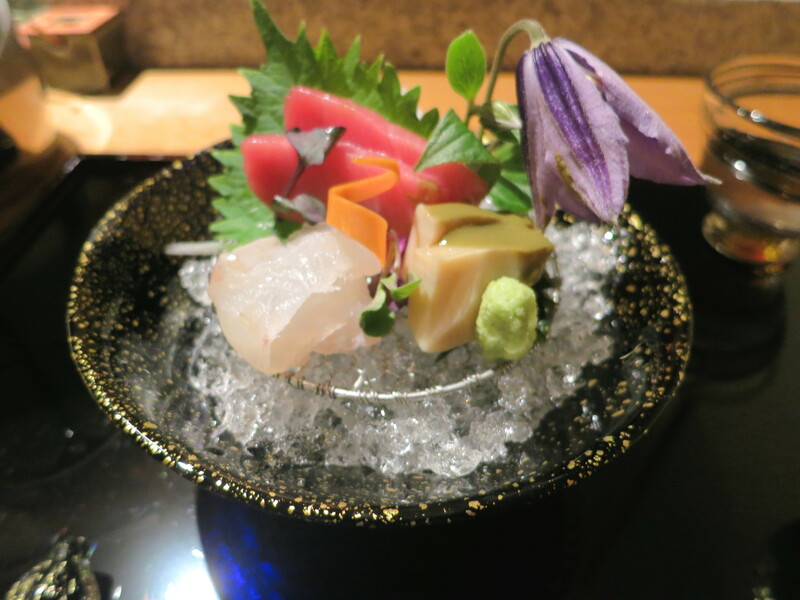 I particularly adore sashimi and it was excellent. 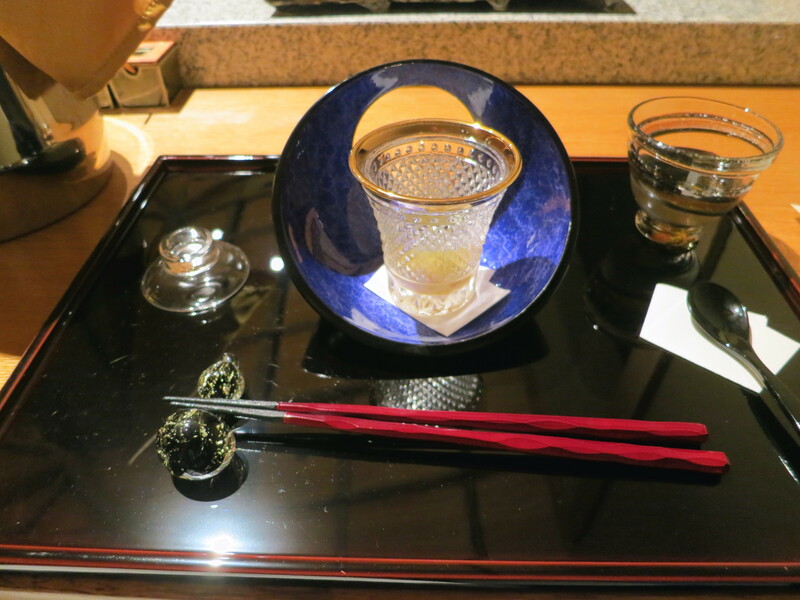 The sashimi was incredible, particularly the sake-steeped abalone. Note: I couldn’t stop myself from eating a piece of tuna before snapping this pic. 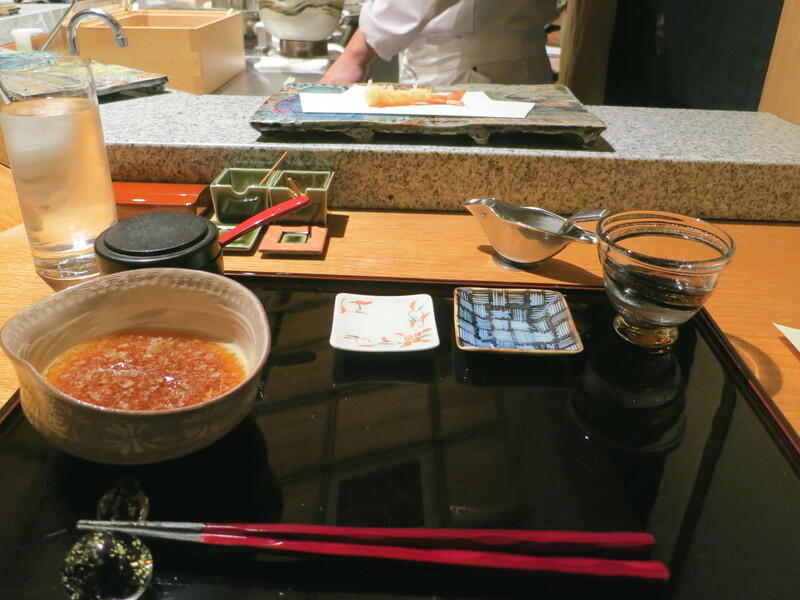 I also love tempura and was extremely interested and excited to see what it was like at a master level. I was not disappointed. The lightly battered, expertly fried tempura course was cooked a piece at a time and served immediately upon removal from the oil. I was given dipping sauce with daikon radish to add, fresh lemon juice, and two salts to use for this course. Like with everything else the ingredients were of incredibly high quality, and each piece was lightly battered and fried in front of me one at a time as I was ready and served immediately. The course included shrimp heads, shrimp, king crab, two other types of fish and several vegetables. Hamo with cucumber and plum sauce. When the course was done I was given the option of ordering more tempura a la carte. With two courses and dessert remaining I unfortunately knew I wouldn’t have room for it. Others in the restaurant ordered more though, and it seemed it was available by the piece so you could order whatever particular things you enjoyed most. 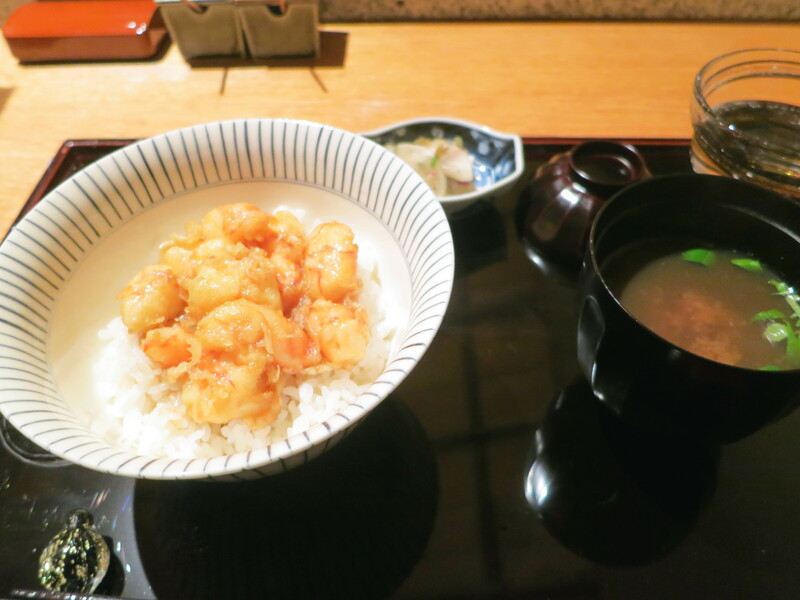 Ten-don (shrimp kakiage tempura over rice), with akadashi miso soup and homemade pickles. Besides having a preference for Japanese food in general, I enjoy menus like this that present a variety of foods and flavors. Everything was just right, including a nice light dessert to finish the meal. As I’m sure was exceedingly obvious long ago I thoroughly enjoyed my meal at Tempura Matsui, and the dining atmosphere, presentation, and service was just as impressive as the food. This is not the type of place I can afford to go to often, but I certainly see myself going back eventually.